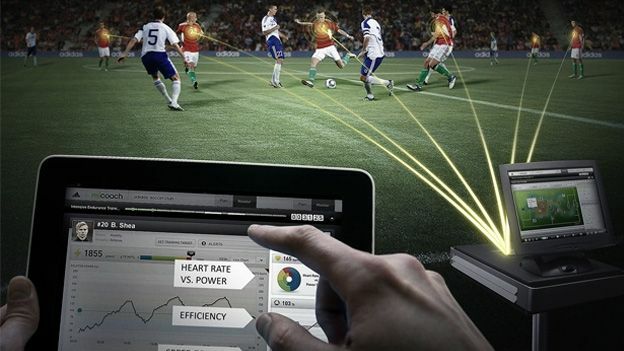 Adidas have announced that the American Major League Soccer All-Star Game on 25 July will be the world's first 'smart soccer match' featuring their miCoach professional soccer team tracking system. In layman's terms think a real-life version of Football Manager and you're not far off. By equipping each player with the Adidas adizero F50 miCoach boot the coach is able to see real-time analysis of each player and of the team. Viewable via an iPad app or via computer the analysis can then be crunched after the match allowing a coach to see potential weaknesses or boost strengths that pop up throughout the game. The technology itself is able to track everything from steps, speed, distance covered, intensity of play and even acceleration. With the debut taking place at the MLS All-Star Game Adidas have confirmed that this will then be followed by a global rollout of the technology.